Often during state celebrations and various events, we can witness a number of politicians singing the Lithuanian hymn with a serious face and their hand to their heart. One of the stanzas goes as follows: "May your sons draw strength from the past." Unfortunately, the ranks of politicians, who comprehend the real meaning of these words, are depleting. Historical memory and historical memory policy is being erased or turned into a servant of one or other ideology. Almost akin to the occupation years, when history was being rewritten to favour the occupiers, Kamilė Šeraitė writes on lrt.lt. It is difficult to rewrite history today, however many supporters of European federalism have strived to bend it to their goals. According to them, history belongs to those, who create it today and not "populists", who "nostalgically cling to the past and refuse to look to the future." This is to mean that the desire to strengthen statehood, to nurture ethnic and historical awareness is linked to populism. It would appear that we are too weak to withstand such manipulations as those of former European Commission chairman Jose Manuel Barosso, who compared the EU to an empire and constantly spoke of the common EU historical narrative, disregarding that many member states opposed him. However, according to the former chairman and his supporters, such a history must be created because without it there will be no value basis for a more integrated, perhaps federal, state, which would have to unite differing territories through historical, cultural, ethnic or some other sense. It is paradoxical, however on one hand there were efforts to establish a common historical narrative, while with the other hand there were efforts to dismiss everything that is historical and the belief in universal progress finally led to efforts to create an EU historical narrative about a complete fiasco. Contemporary EU is historical in its essence and this is yet another reason, why a common historical narrative is impossible. Every state is responsible for the creation of its historical narrative and defending it. As such at the EU level, it is impossible to agree on a common and commonly acceptable interpretation of events. However this does not mean that we must strictly take distance to discussions on historical policy that are ongoing in the EU. It is crucial to agree at the EU level on at least the perception of key events of the continent and tragedies. This is especially so when recently such events have become the targets of disinformation and other information warfare measures. The core disagreement is especially relevant to Lithuania – differing perceptions of Nazi German and Soviet Union crimes. The allied and Soviet Union victory in the Second World War over Germany cannot be a reason to dismiss five decades of occupation and repressions of sovereign states. Lithuania must seek for Nazi crimes to humanity to be equalised to communist crimes at the EU level. This is no new pursuit, such efforts started long ago: in during the 2008-2012 government term historical policy was included in the Foreign Ministry's foreign policy strategy, diplomats were set guidelines, how to protect our history from hostile attacks, however up to now all this is gathering dust on a shelf. After all now when Russian information attacks have only intensified it is specifically these measures, if they were employed and built on, which could have performed the main job of dismantling such attacks. As such in the EU policy context, Baltic and Visegrad States must revive initiatives, which would ensure a suitable condemnation and equal perception of totalitarian regimes in Europe. Differing interpretations of the two totalitarian regimes, which seek to unify Europe under an organisational framework, are not only incorrect from a historical perspective, but also harm the memory of communist regime victims – people's suffering and lives cannot be valued differently. It wasn't only our lack of resolve, which led to failures in attempts to equalise the crimes. Most "old" EU member states, which did not experience communist terror, can identify Nazi crimes to humanity, the main locations where Jews were killed or the number of victims. However if one asks the same people about communist crimes, few could specify even what they were and many would even question, whether people did not depart to Siberia by their own will. The positive attitude to the ideology of communism from certain countries such as France is also a hindrance. Many contemporary leftist politicians do little to conceal their sympathy to the ideology of communism and older leftists have even participated in communist movements. With historical policy entering international relations agenda ever more frequently, we are greatly risking by not establishing our own historical narrative and policy. History and historical policy are inseparable parts of every country's identity. The state must nurture a public loyal to the history of the Homeland because if the state fails to do so, the public becomes superficial, consumerist, sell-out and lacking resistance to threats. To fully understand the importance of historical policy, let us compare Lithuanian and Polish reactions to two disinformation incidents. Several years ago US President Barack Obama described Nazi camps as Polish death camps. The then Polish Prime Minister Donald Tusk demanded B. Obama to apologise to him and the entire Polish nation because these were not Polish death camps, but Nazi death camps in occupied Poland. This year a law was passed in Poland, which prohibits calling Nazi death camps as Polish camps and thus finally obstructs information attacks inside the country and outlines penalties for breaching this. Meanwhile not too long ago in Lithuania, Rūta Vanagaitė together with Efraim Zuroff began to spread lies about how Lithuanian partisan leader Adolfas Ramanauskas-Vanagas was a Jew killer. Prime Minister Saulius Skvernelis announced that every individual has a right to their opinion, while the Seimas speaker, who represents the nation's parliament, did not even speak up. The aforementioned reactions show that our state is incapable of depending its history and truth – we stay silent and silence means lack of anything to say, which can be understood as permission to continue despicable lie campaigns. Unfortunately, today we must convince our politicians that historical memory policy is one of the core conditions for the survival of the state and for a harmonious society. Even as we celebrate our state's centenary, we emphasise becoming a part of modern Europe and not the national or historical narrative, based on which our state was created a hundred years ago. It is unfortunate that we must convince our own politicians that if we fail to create a historical memory policy, we may not have another centenary of the Lithuanian state or nation – Lithuanians may remain on earth, but there will no longer be any content to Lithuanity and thus no reason to celebrate. Seeing how hostile forces are seeking to rewrite our history, how the public is no longer associating itself with the Homeland and the nation, we must unite in the name of the survival of our state. 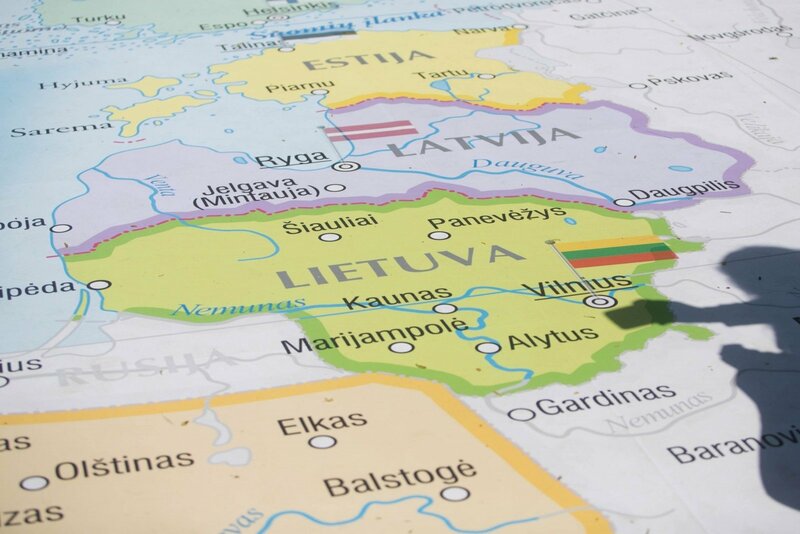 Not the EU, not anyone else, it is we, who must write a textbook of Lithuanian history for future generations. Only an authentic and strong Lithuania can create a strong Europe. Russia and Eastern Europe Studies Masters student Kamilė Šeraitė is MP Laurynas Kasčiūnas' aide.